About: The American Geophysical Union (AGU) is dedicated to advancing the Earth and space sciences for the benefit of humanity through its scholarly publications, conferences and outreach programs. AGU is a not-for-profit, professional, scientific organization representing more than 60,000 members in 139 countries. AGU was established in 1919 by the National Research Council and operated as an unincorporated affiliate of the National Academy of Sciences for more than 50 years. AGU was independently incorporated in 1972. Data Matters at AGU: AGU has long recognized the importance of data, forming the Earth and Space Science Informatics (ESSI) focus group, which focuses on issues of data management and analysis, large-scale computational experimentation and modeling, and hardware and software infrastructure needs. AGU was also one of the first scientific societies worldwide to adopt a Data Position Statement in 1997, and one of the first publishers to require releasing data with publication, in 1993. 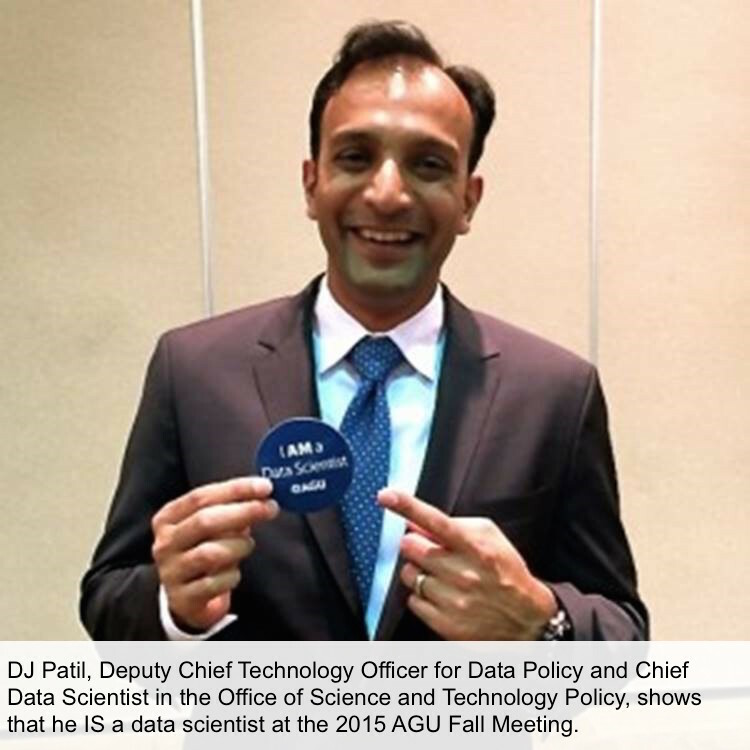 Data was a major focus at AGU’s 2015 Fall Meeting, with the introduction of a new track that connected sessions related to data across various scientific disciplines, a three-day Data Fair that included panel discussions and a Town Hall with DJ Patil, the Chief Data Scientist of the United States. ESIP was an important supporter of the Data Fair, and helped identify DJ Patil as a potential speaker. 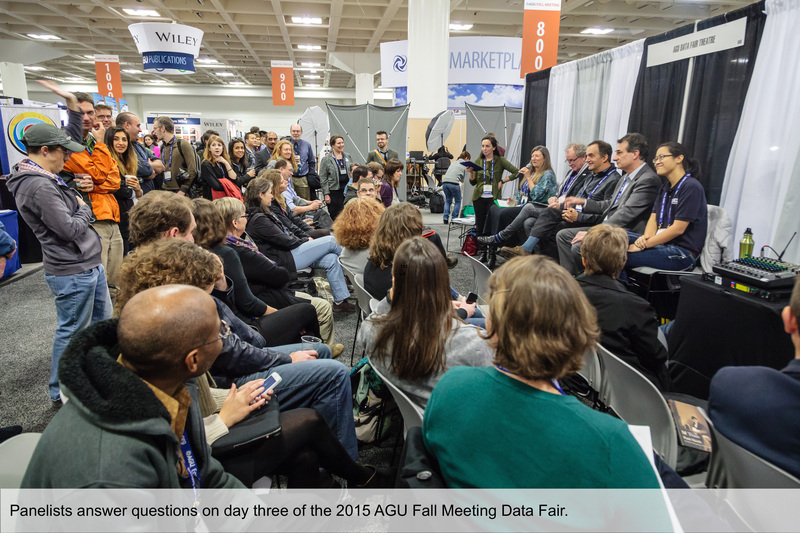 AGU plans to continue and expand its focus on data during its 2016 Fall Meeting, and looks forward to further collaboration with ESIP on this important endeavor. AGU also has two new programs designed to meet the data management needs of individuals and organizations; members of the ESIP community provide guidance and consultation to the Advisory Boards of both programs. The Data Management Maturity (DMM) Program helps organizations assess and improve their data management practices. If an organization is considering a large data management effort, performing a DMM assessment at the beginning ensures that any process weaknesses are identified and addressed before new dependent tasks are implemented. A DMM assessment identifies process gaps and opportunities to implement process changes. These allow the organization to reach its data management goals, and it is scalable from very small to very large teams. More information about the DMM Program can be found on AGU’s website, and questions or comments can be directed to Shelley Stall, AGU’s Assistant Director for Enterprise Data Management. AGU is also developing a Data Management Training program for scientists and researchers; members of ESIP’s Data Management Training working group have been consulted on the materials and approach. Finally, AGU supports efforts by the Coalition for Data Publication in the Earth and Space Sciences (COPDESS) to provide an organizational framework for Earth and space science publishers and data facilities to jointly implement and promote common policies and procedures for the publication and citation of data across Earth science journals. COPDESS is organized by Kerstin Lehnert, Director of Integrated Earth Data Applications and Brooks Hanson, Director, Publications at AGU. Reason AGU participates in ESIP: ESIP is a valuable Earth and space science community. Through the ESIP network of experts, data- and informatics-related problems affecting the entire community are addressed head-on. AGU recognizes the importance of this work and values the feedback of ESIP members to ensure that the programs it supports and develops meet the specialized needs of organizations and individuals in the geoscience community.